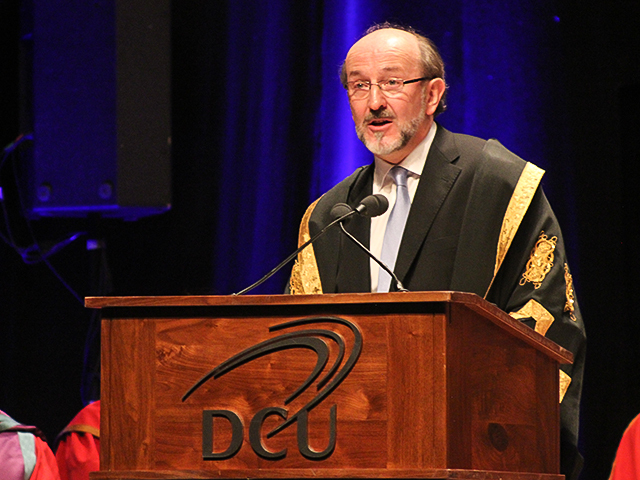 Funds of up to approximately €125,000 were allocated to help recruit a new DCU President. The estimated figure was agreed by the Governing Authority at their meeting in September this year. Members of the Governing Authority were told this figure was based on the previous amount spent 10 years ago which was inclusive of VAT. Minutes from the Governing Authority note the fee will be used to pay the recruitment agency and other expenses including advertising and travel for prospective candidates, which may indicate the university is open to external candidates. The tender for the recruitment agency had not been finalised by the September meeting. The process to recruit a new President for DCU comes as the tenure of Professor Brian MacCraith ends in 2020. Minutes also reveal Ms Marian Burns, the Director of Human Resources at DCU will work with the two committees that have been established to help with the recruitment process. The two committees, the Search Committee and the Selection Committee are understood to have been selected at the October meeting of the Governing Authority. The first of the two Committee’s to begin their task, the Search Committee will aim to complete its work by March/April 2019, with the Selection Committee to complete its work by October/November 2019. This should allow for the Governing Authority to be in a position to announce the appointment of the new President at its February 2020 meeting. “I think the president of the university is a very important role and I feel like, the people who would decide these figures would know, I would not know what’s involved really in recruiting a university president,” DCUSU Welfare and Equality Officer Aisling Fagan when asked whether the sum of €125,000 was too high a fee to recruit a new president. “From sitting on Governing Authority and seeing the process that will now be undertaken, it probably is an expensive process,” she continued. DCU will be searching for only the fourth president in its history. Professor Brian MacCraith succeeded Professor Ferdinand von Prondzynski. Professor von Prondzynski, stepped down from his position as principal of Scotland’s Robert Gordon University (RGU) earlier this year after a conflict of interest controversy. Prior to this, Dr Daniel O’Hare was the founding President of NIHE Dublin in 1977, the precursor to DCU. He served in the role for 20 years, stepping down in 1999. In recent times Irish universities have chosen Presidents who are almost exclusively from a STEM background. All current presidents of Irish universities are also male, with no woman ever holding the post of President at any Irish university.